Browse for "Breach and Clean"
Breach & Clean is an Authentic Hotel Maintenance Simulation. Breach & Clean uses sound effects from Boom Library and the Sonniss Sound Effects Library. 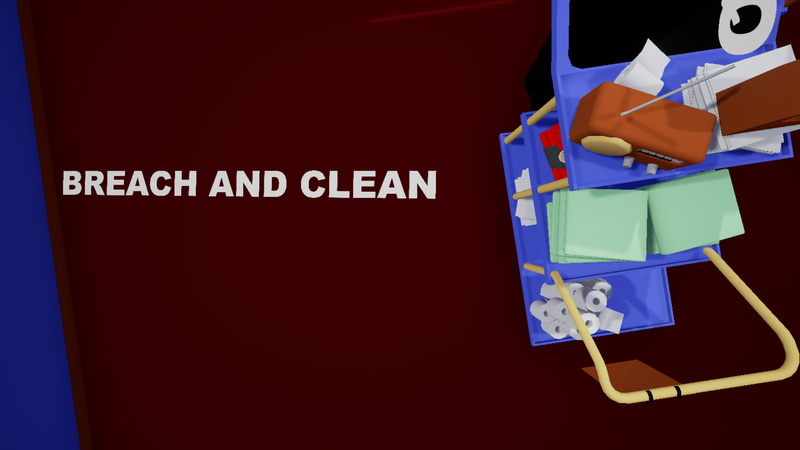 Breach & Clean uses FMOD Studio by Firelight Technologies. Breach & Clean uses the Unreal® Engine. Unreal® is a trademark or registered trademark of Epic Games, Inc. in the United States of America and elsewhere. Unreal® Engine, Copyright 1998 – 2016, Epic Games, Inc. All rights reserved. I hope you're happy, Joe. James Newnorth, Castle Game Jam & all the volunteers & organizers. Breach & Clean is infinitely grateful for the friendly support from the Elite Stora Hotel in Örebro. Breach & Clean would not exist without the stubborn housekeeping of the Hesperia Tower Hotel in Barcelona. Thanks to our family, friends & partners. Download the file. Make sure to clean dirty towels from the room. Unzip the file using your favorite archival tool. Make the sheets. Run breachandclean.exe from the folder. Do not forget to replace toilet paper. For everyone who doesn't know how to start the game. It's the Enter button. With the Enter Button. It took me a while to figure out.